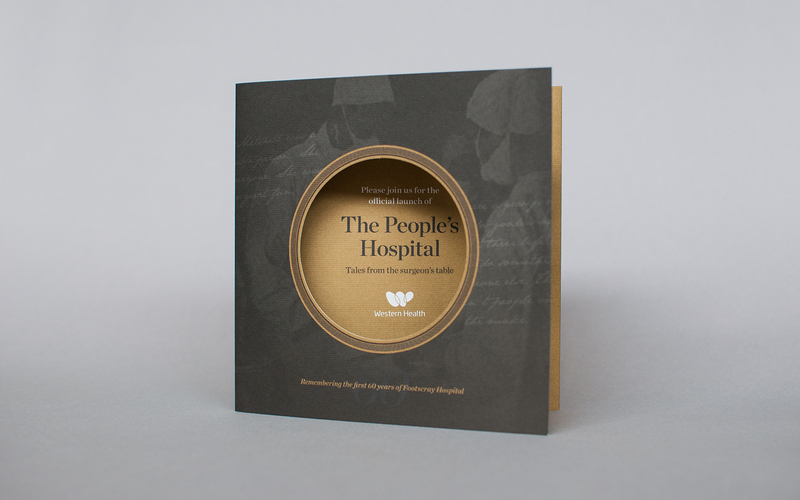 ‘The People’s Hospital — Tales from the surgeon’s table’ is a defining project for surgery at Western Health. 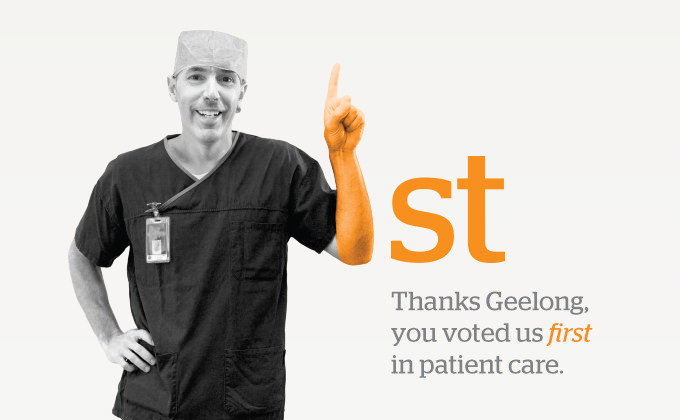 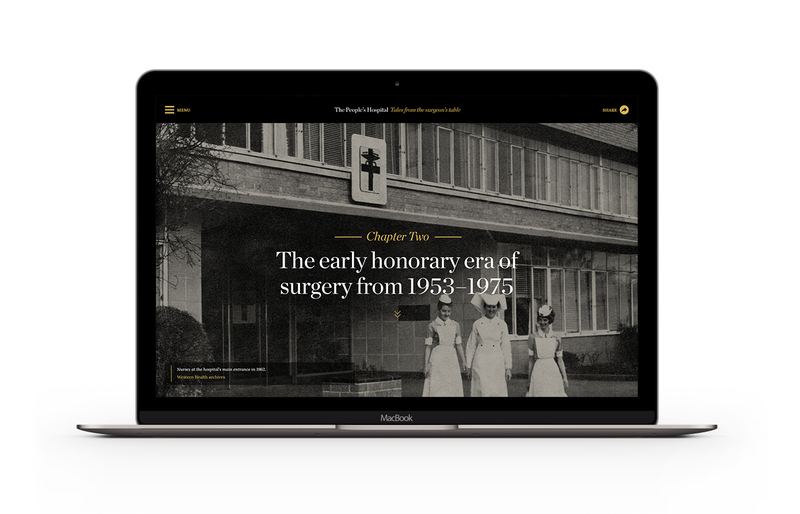 The challenge for Grindstone was to produce a coffee table book and micro-site that captures the contribution and dedication of so many that drove evolutionary change in surgery and patient care at Western Health over the last 60 years. 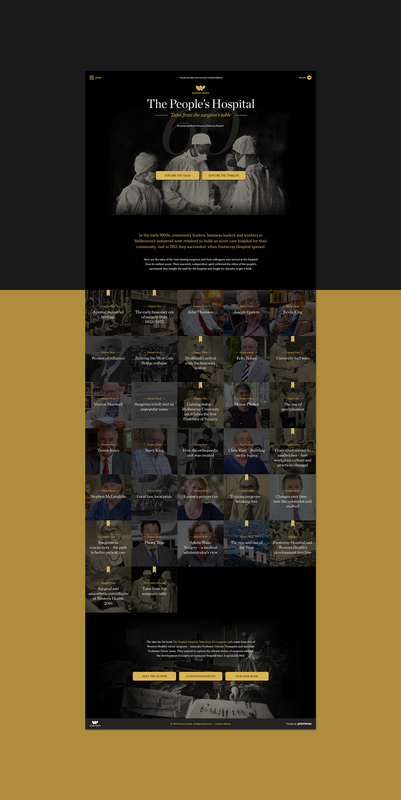 Grindstone saw the opportuntity to create a visual style that truly encapsulated the historical significance by drawing inspiration from photographs taken of the Western suburbs in the early 20th century. 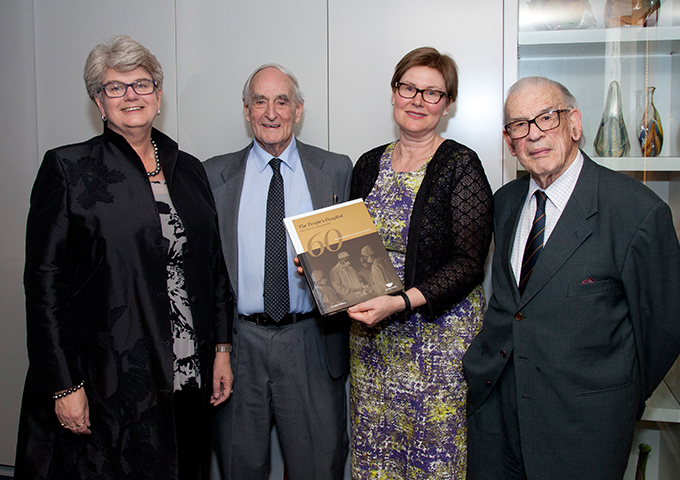 Black and white photos from an industrial age that display the spirit of a working class was the perfect ingredient to build the platform for the books visual look and feel. 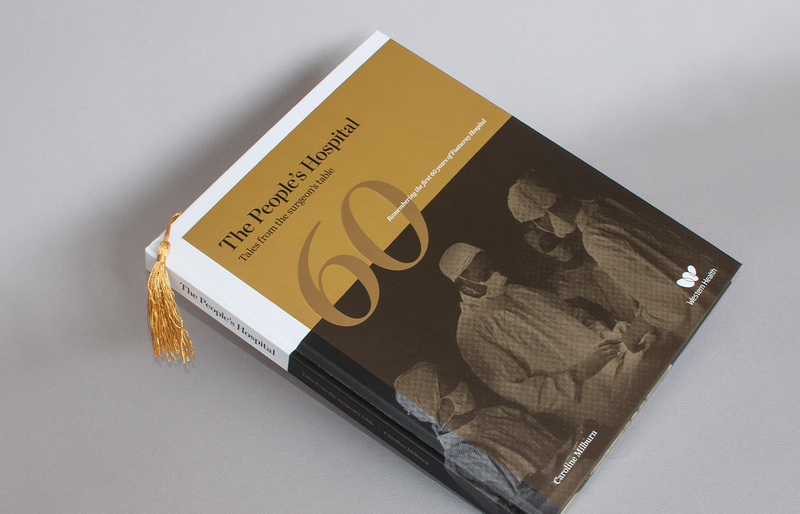 Gold was added for a premium touch and to highlight the significance of the 60 year celebration. 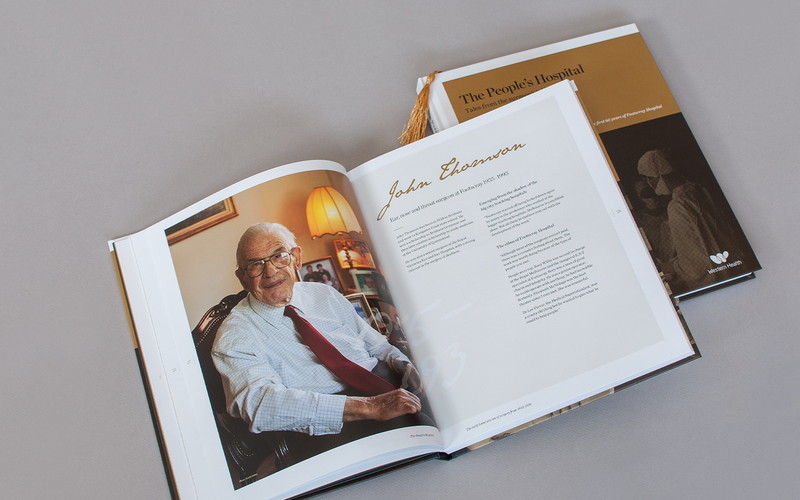 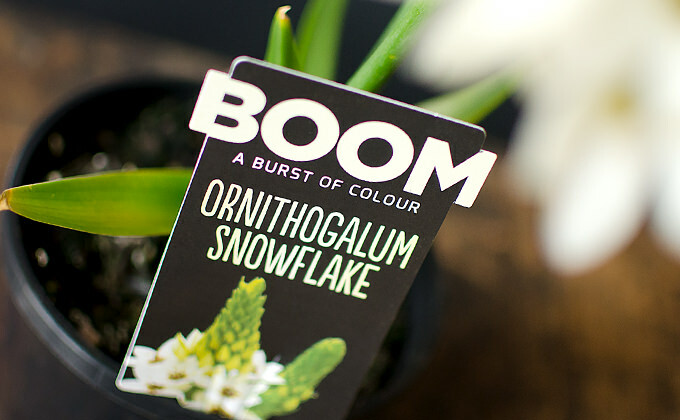 A suite of collateral was developed for the book launch, including printed and electronic invitations, commemorative bookmark, web banners, book and micro-site. 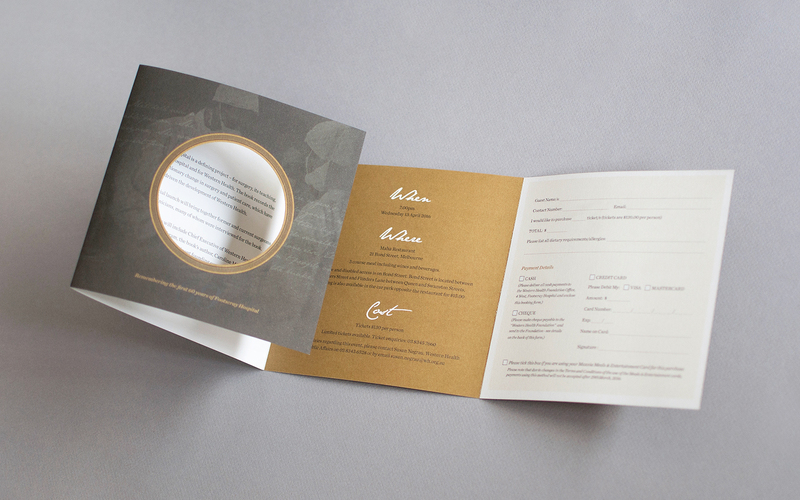 All printed collateral included gold metallic ink with the invitation printed on a beautiful and timeless mesh textured stock. 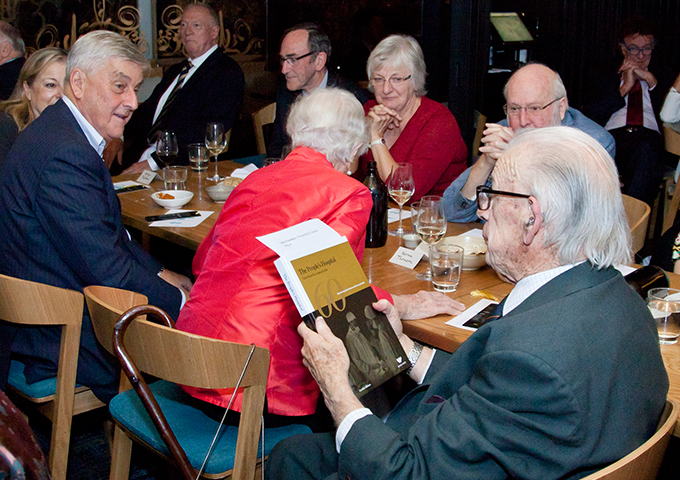 The launch of the book and micro-site was celebrated by holding a launch party at Maha restaurant in Melbourne. 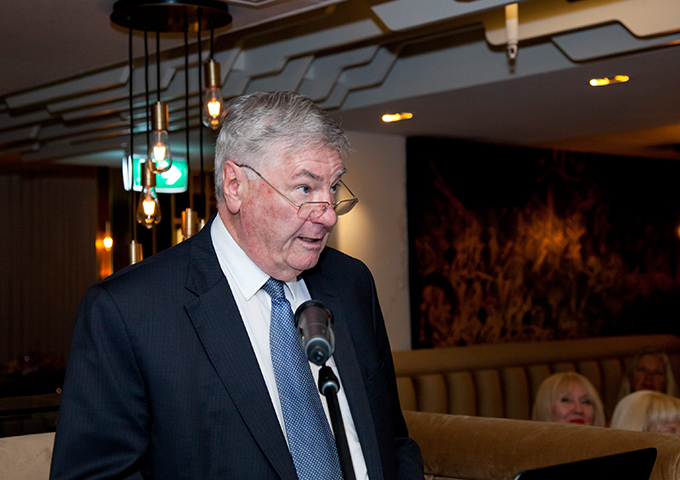 The official launch at Maha Restaurant brought together former and current surgeons and other clinicians to reflect on times of evolutionary change at Western Health.